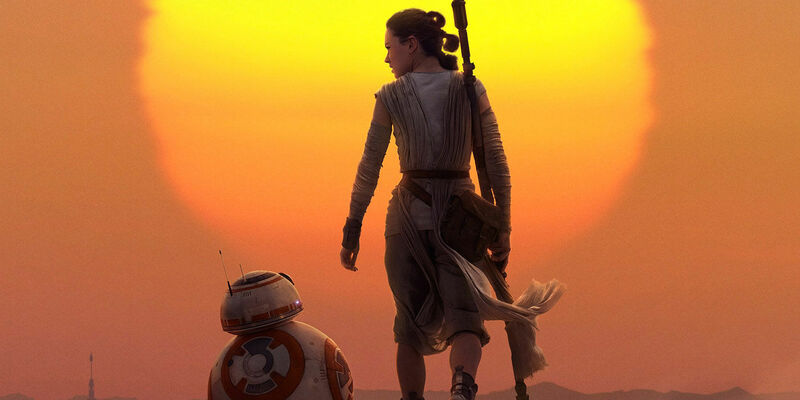 As J.J. Abrams' Star Wars: Episode VII - The Force Awakens shatters box office records, many fans are starting to look ahead to the future of the sequel trilogy. And fortunately for them, they won't have to wait long for Rian Johnson's Star Wars: Episode VIII. Principal photography on the project will commence shortly, as the film is scheduled for a May 2017 release. While The Force Awakens had its fair share of shocking reveals and moments, there are a number of unanswered questions left to explore in the forthcoming installments, adding layers of intrigue to the next movies. One of the biggest secrets Lucasfilm is keeping under lock and key is the parentage of Rey. There are no shortage of theories regarding the protagonist's familial history; some believe that Rey is the daughter of Luke Skywalker, others say she's a descendant of the Kenobi bloodline. Fans will remain in the dark at least until Episode VIII hits theaters, but Abrams is one of the few who knows the truth behind Rey's backstory. The Lucasfilm story group may not know how the sequel trilogy will end yet, but they definitely ironed out Rey's lineage a long time ago. Johnson was brought on board to direct Episode VIII early on so he would have the opportunity to work with Abrams and piece together the larger picture. When developing The Force Awakens with his co-writer Lawrence Kasdan, Abrams had to decide just how much of the story he was going to reveal. As tempting as it might have been to flood his film with revelations, Abrams displayed restraint and saved some surprises for later, which is in line with the franchise's history. After all, nobody knew Darth Vader was Luke Skywalker's father in 1977. It will be interesting to see how everything comes together as the series progresses. It would appear that we're entering a time where movie fans don't have to tip toe around discussions involving Episode VII. The latest line of official tie-in merchandise features aspects such as Rey fighting with Luke's old lightsaber, and John Boyega seems relieved that now he can publicly talk about what happens in Force Awakens. If the people behind the film are starting to become more open to the idea of conversing over some Star Wars spoilers, now may very well be the time. That is, until the next adventure in a galaxy far, far away is gearing up for its theatrical premiere.